Robin Chappele Thompson’s work in education spans 25 years. Her master’s degree in elementary education, English for Speakers of Other Languages (ESOL) endorsement, certification in K-12 reading, and certification in preschool education provide her with a strong knowledge base in the teaching and learning processes. She has been a teacher, literacy coach, and curriculum coordinator. After earning her PhD in curriculum and instruction with an emphasis in childhood reading and language arts, she worked as an instructor at the University of South Florida, where she supervised interns and taught literacy, assessment, and writing courses in the College of Education. 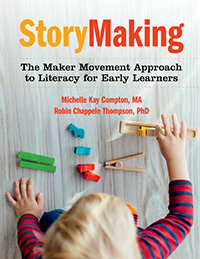 Currently Robin works as the director of early learning in the school district of Manatee County, where curriculum design and implementation for pre-K—2 has been a focus area for her work.